The pinnacle of 3 years intense research and crossbreeding, CBD Bomb, Bomb Seeds’ first specialist, high CBD strain has arrived. 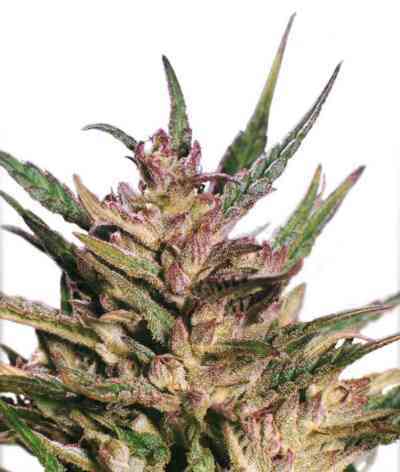 It’s one of their most eagerly awaited medical strain developments since the launch of their signature strain THC Bomb. With a CBD level well over 7% and 1:1 CBD to THC ratio CBD Bomb is a medical strain of the highest quality. The stone is a balance between a deeply relaxing physical feeling without excessive drowsiness. It’s a strain that can be enjoyed any time of day to help manage conditions such as muscle and joint pain, inflammatory problems, insomnia and anxiety. 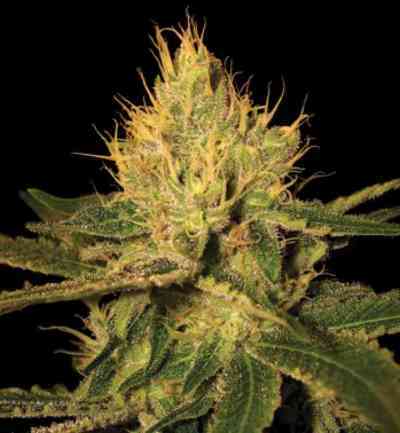 The smoke is sharp citrus with a distinctive skunky undertone. The aroma develops late in the vegetation but goes off the scale late in flowering. Be warned - take adequate protection, this strain is not one for a stealth setup. Finishing in a little over 8 weeks, its short and compact structure is perfect for a SCROG setups, making it hugely viable for commercial ventures. Resin production is high, with sticky, THC coated buds, growing from multiple locations along the main stem and side branches. Expect the usual strength, speed and vigor Bomb genetics have become renowned for. If you’re looking for the next level in medical marijuana strains CBD Bomb is an awesome addition to any collection. Hi Linda team, this is the third year I have grown this variety: this weed is really good with a nice harvest. Thanks!